There is nothing quite like having a nice hot cuppa of your favorite brew, and if you had your way, you wished that the piping hot cup would not cool off so soon while you are busy hammering away at the keyboard. Having said that, there are ways to do so — such as keeping your coffee in a pot on a coffee warmer, or simply place your cup on a cup warmer. Now, no ordinary cup warmer will do for a geek of your stature, and the $12.99 Freshly Baked Donut USB Cup Warmer would fit into your personality profile perfectly. 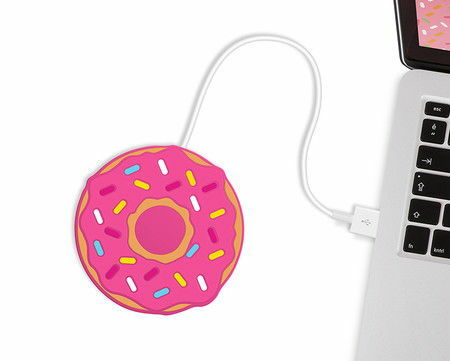 This doughnut-shaped, USB powered mug warmer measures around 3.7” wide, 0.3” tall and is 3.74” deep.